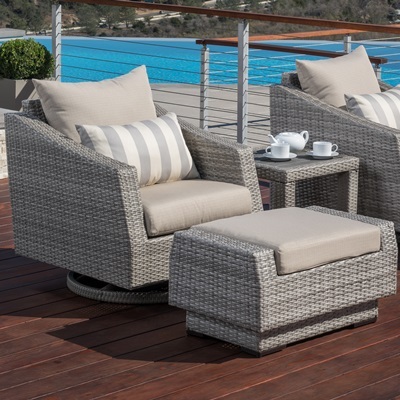 The right outdoor furniture set can turn any patio into a comfortable, timeless getaway. 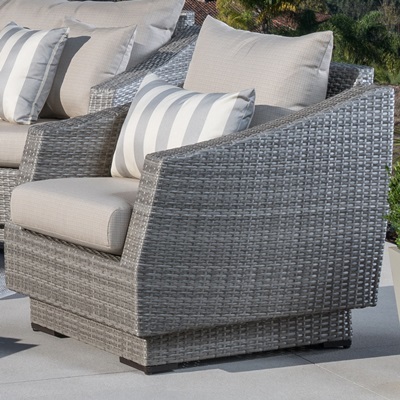 That's what we had in mind when we combined all-weather durability and classic style in this nine-piece outdoor grouping. It's designed to last for years with materials engineered for exposure to the elements, and with a unique and comfortable design structure, it'll be a source of pride for years to come. Set includes a corner chair, two armless chairs, a left and right sofa end, two club chairs, twelve coordinated accent pillows, and a woven conversation and side table.